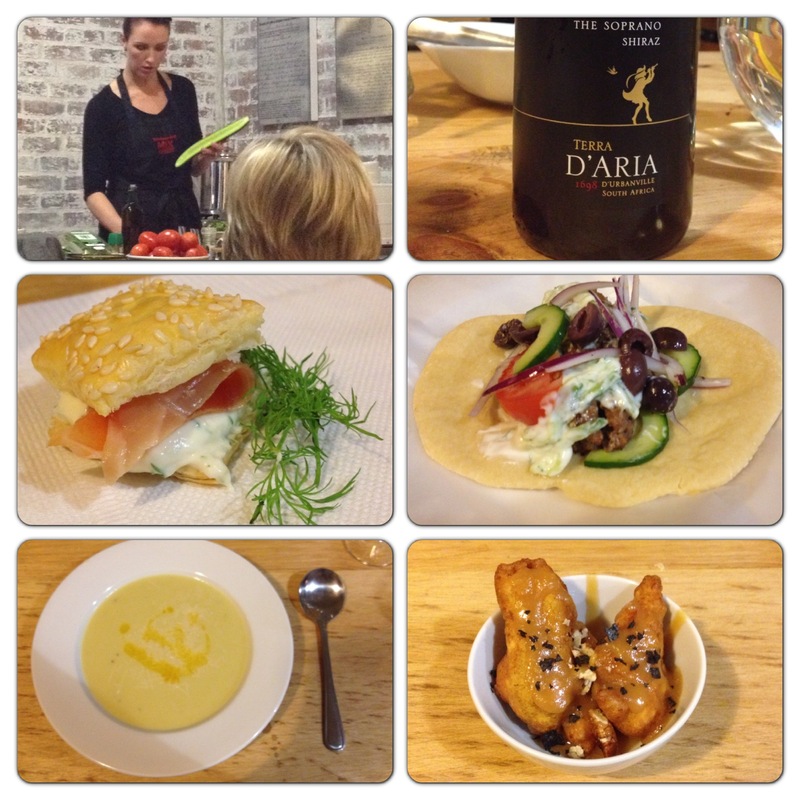 An evening of good food and wine from D’Aria Winery in the Durbanville wine route. The evening presented a secret menu featuring dishes from Alaska, France, Greece and South Africa. 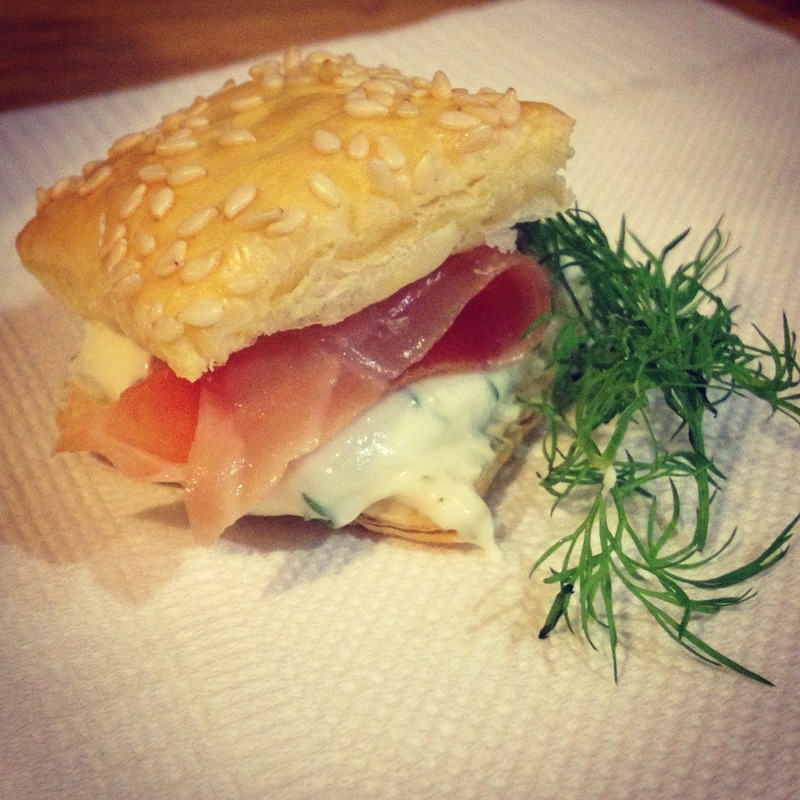 The evening was off to a tasty start with canapés of Smoked Trout puffs. Ilse continues to tell us about the “Alaska” themed dish and enlighten us about the local Trout farmers on the Lourensford Estate in the Western Cape . A real refreshing bite before the vertical tasting presumed. 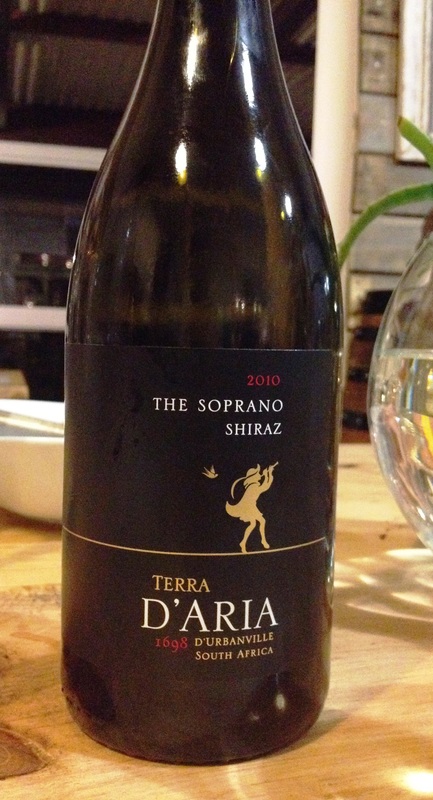 We were honoured to taste the D’aria Sauvignon Blanc ranging from 2009 right through to 2012. This is known as a Vertical tasting. This is a great way of exploring a specific wine variant with emphasizes differences between various vintages. 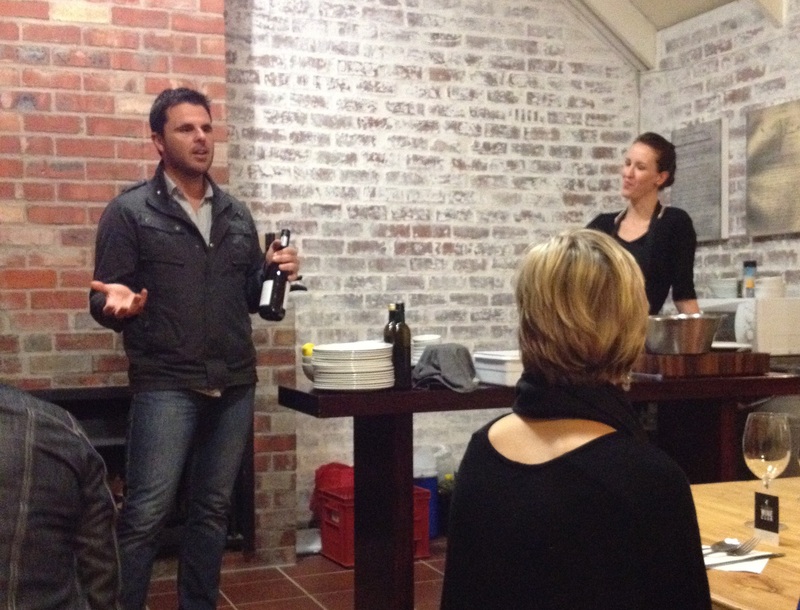 Rudi von Waltsleben, winemaker at D’aria, shared stories about these vintages. Creamy and rich; everything a true French soup should be. 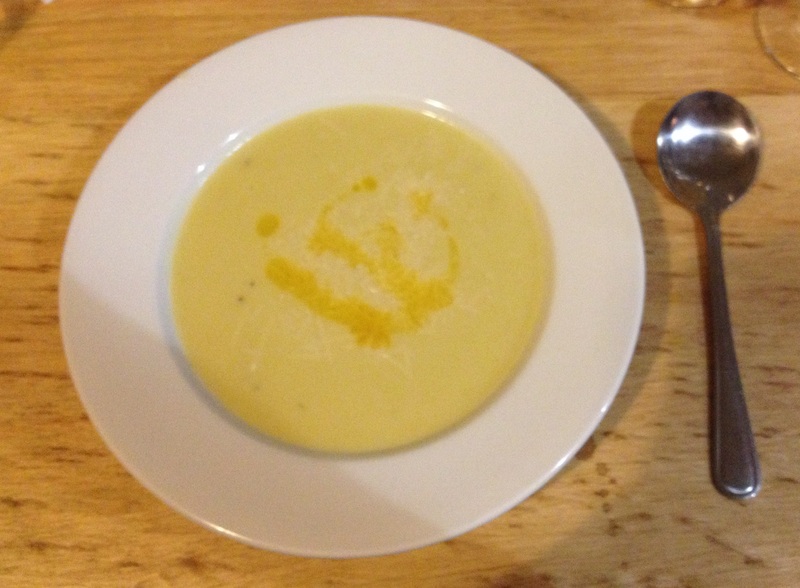 The soup is velvet on your tongue. A bit too rich for me, but I allow myself the indulgence every now & then. I returned from Greece only a few months ago and would be happy to visit again. Touring Italy and onto the islands of Mykonos, Paros and Santorini before heading back to Rome, Italy. After a flight from Venice, we arrived in Mykonos, tired and hungry. The local B&B ordered food for us and what arrived? Souvlaki! 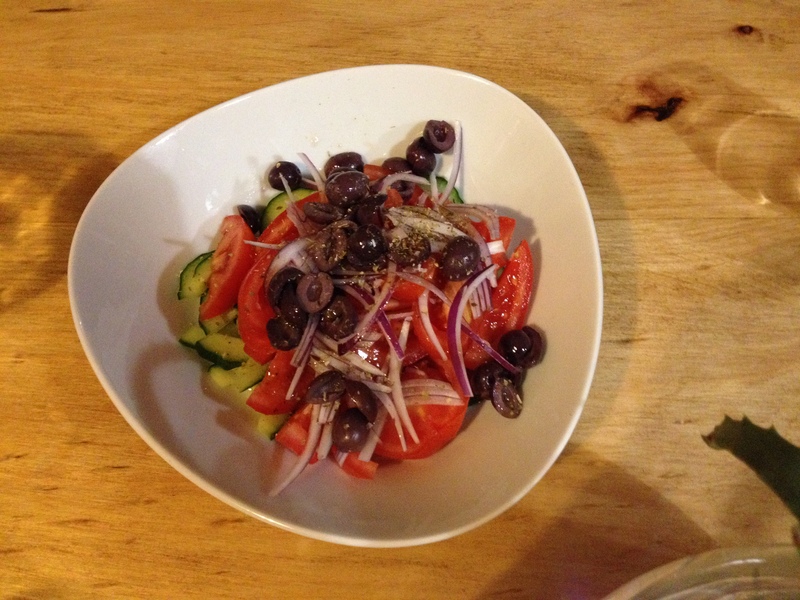 Ilse made the Lamb koftas, greek salad (No lettuce!) and pita bread. 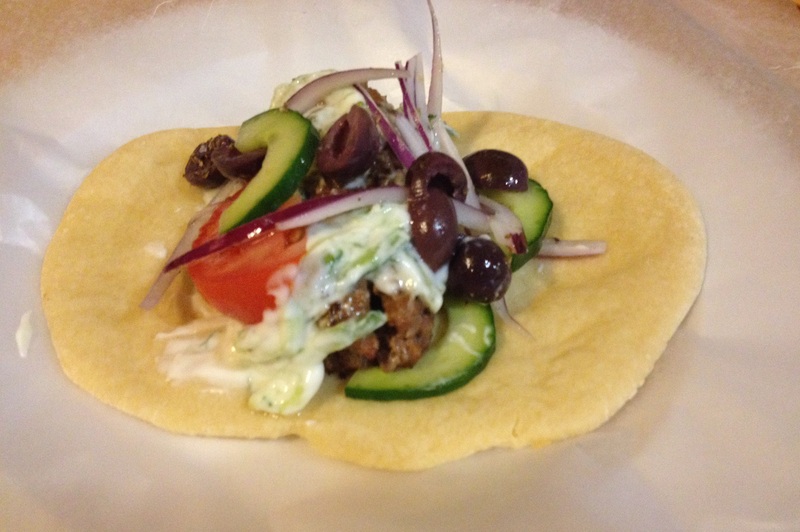 This was the fun part, we could fill and roll our own Souvlaki. Some a bit better at it than other. 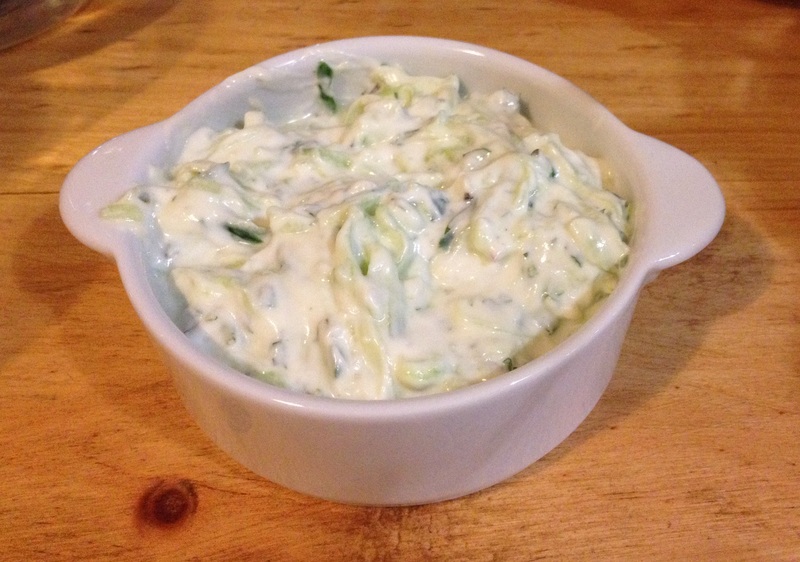 …and of course creamy Tzatziki made from Greek yogurt. After returning from our travels in Italy and Greece. We arrived back in South Africa, very happy to be home. We were excited to eat local cuisine and soon came to the realization; “how spoiled for choice we are in S.A.” We have it all! Ilse mentioned how Pumpkin fritters is a traditional South African side-dish, but changing the recipe slightly. 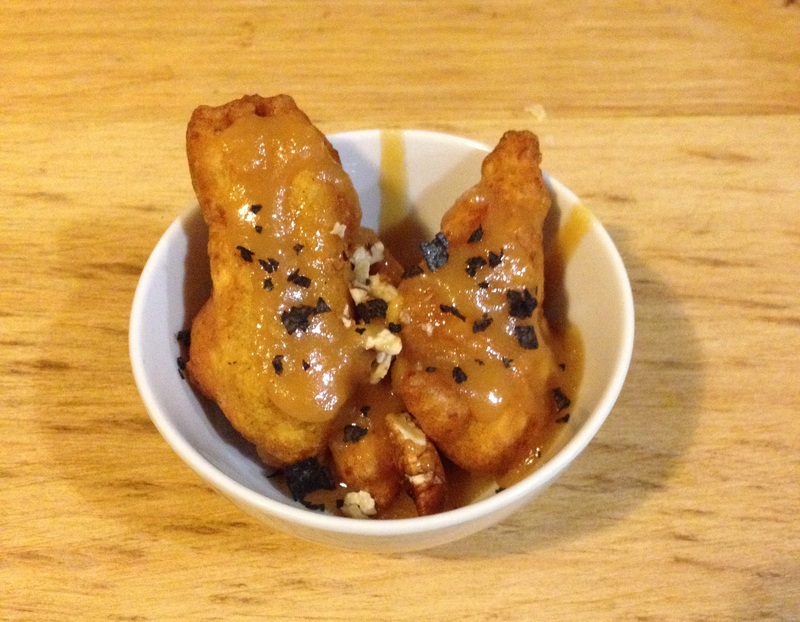 She created her own Pumpkin fritters with a fudge sauce. Topped with some black salt to give it the salty-caramel taste. You can follow Ilse van der Merwe or @the_foodfox on Twiiter. Go and like her The Food Fox Facebook page. 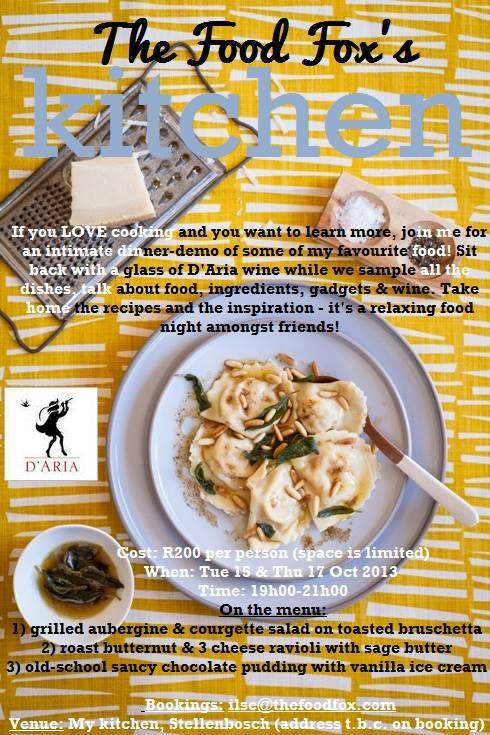 The next Food Fox Kitchen will be at D’Aria Winery on the 17th of October ’13.